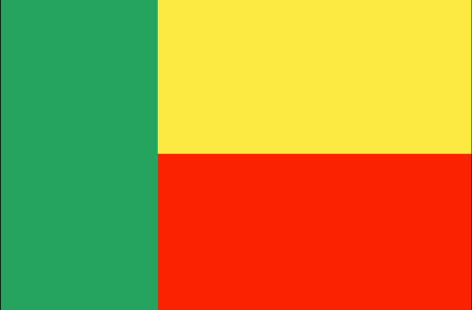 The town of Dassa-Zoumé is located in central Benin, in the Collines department which is about 200 km north of Cotonou, the country's capital. It is a key area when travelling from the south to the towns in the northern area of the country. The department is very hilly (its name comes from "collines," the French word for "hills") and the town of Dassa-Zoumé is popular with tourists as it has beautiful panoramas over the area. Dassa-Zoumé is a place of pilgrimage for all the Catholics from the west of the African continent (a vision of Mary is said to have been seen in a cave on the outskirts of the town). The town of Dassa-Zoumé lacks the infrastructure to help its people. Although the town has a social centre and two medical centres, they cannot cope with everyone's needs and do not have modern equipment. Finally, there are no institutions to care for children who are abandoned and left to their own devices. SOS Children's Village Dassa-Zoumé was built from 2003 to 2005, on a plot of land that was provided by the Benin authorities. It has twelve family houses which can accommodate up to 120 children, an administration building, a director's house, two houses for people who help the families as well as other staff, a multi-purpose room, a community centre and a house for visitors who come from outside the organization. The kindergarten was built within the village, as were the school and the social centre, and its facilities are available not only for the use of children from the village, but also those from the neighbouring villages. It has a capacity of 50 children. It has two classrooms and adjoining rooms that are used for storing food and staff administration. There is also a kitchen and sanitary facilities. The SOS Hermann Gmeiner Primary School has six classrooms, an administration building, a class for children with learning difficulties, a canteen and different workshops for practical activities. At present, it can accept up to 210 children. An SOS Social Centre was finally built to offer the local people and people from the neighbourhood family support, effective medical care and also to promote various preventive measures (such as awareness of the HIV virus). It consists of two classrooms, a multi-purpose room, an administrative block and it has an examination room, a treatment room, an analysis laboratory, a dispensary, a sterile room and a reception and administration block to provide medical care. Around 12,000 people a year can be seen and treated there.